Unexpected dipper trip system failure is one of the largest contributing factors to productivity loss for shovel operations. Failed ropes and components can take 30 minutes to hours to repair and replace, which cripples productivity for shovel-truck operations. 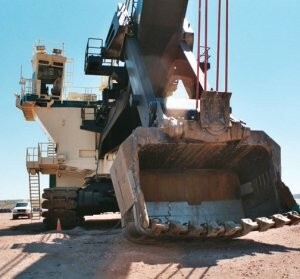 Plus, shovel downtime is not the only productivity drain in shovel operations. Dipper trips that fail to actuate consistently and reliably cause operator frustration. The SureTrip dipper trip system from Flanders provides unmatched reliability and eliminates operator fatigue and frustration by incorporating a state-of-the-art digital drive system and excavator-duty components including a ring & pinion gear and cable reel assembly. The reel applies constant tension during the dig cycle to maintain full control of the tripping cable, and optimizes torque to ensure reliable and consistent gate activation. SureTrip is the only long-life dipper trip system that shovel operators can count on for 99 percent activation reliability or to adjust to a custom setting based on the digging situation.